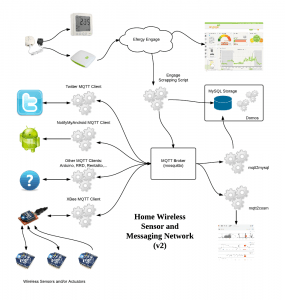 Some 3 years ago I started building my own wireless sensor network at home. The technology I used at the moment has proven to be the right choice, mostly because it is flexible and modular. 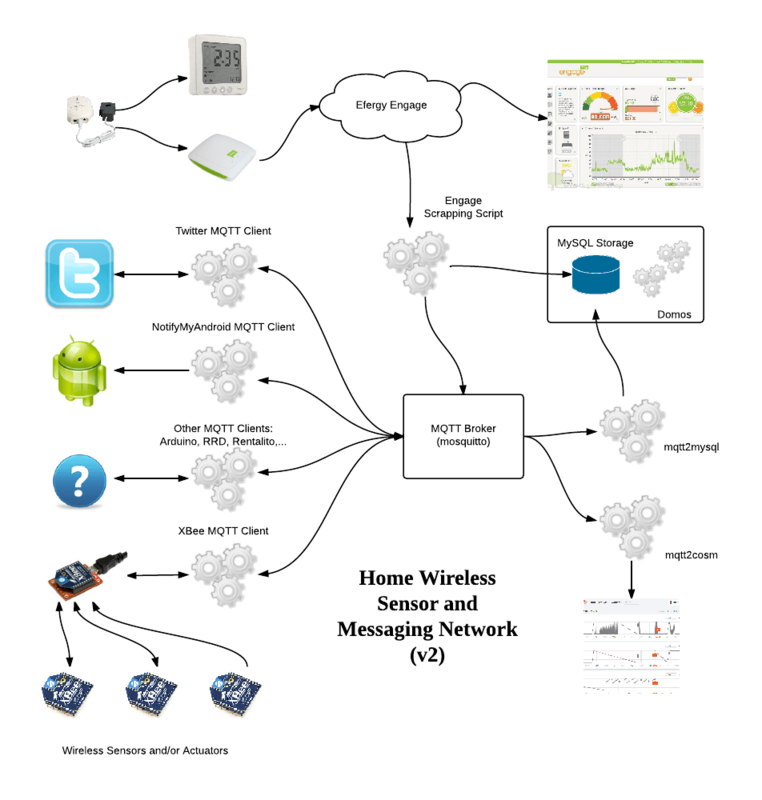 MQTT is the keystone of the network. The publisher-subscriber pattern gives the flexibility to work on small, replaceable, simple components that can be attached or detached from the network at any moment. Over this time is has gone through some changes, like switching from a series of python daemons to Node-RED to manage persistence, notifications and reporting to several “cloud” services. But MQTT talks TCP, which means you need some kind of translators for other “languages”. The picture below is from one of my firsts posts about my Home Monitoring System, and it shows some components I had working at the time. All those gears in the image are those translators, sometimes called drivers, sometimes bridges, sometimes gateways. Most of them have been replaced by Node-RED nodes. But not all of them. This is the story of one of those gateways. 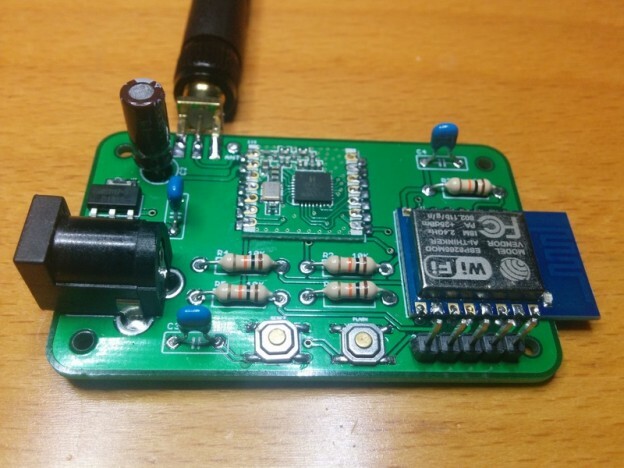 This entry was posted in Code, Projects and tagged ams1117, bitbucket, edulobo, eeprom, embedis, esp8266, espism, espurna, gateway, github, hoperf, jeenode, lowpowerlab, mosquitto, moteino, MQTT, node-red, nodemcu, paho, purecss, rfm69, rfm69cw, wifimanager, WSN, xbee on August 19, 2016 by Xose Pérez.